APC promises improved service delivery - SABC News - Breaking news, special reports, world, business, sport coverage of all South African current events. Africa's news leader. 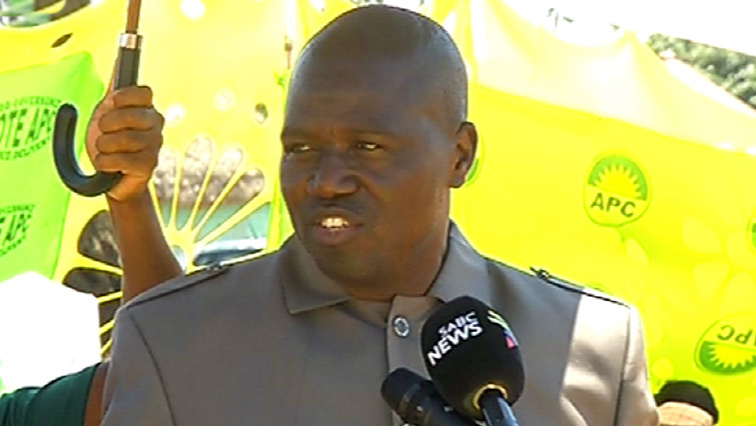 APC leader Themba Godi says his party is a better alternative to the ruling party. Leader of the African People’s Convention (APC) Themba Godi says his party is a good alternative for voters who are tired of empty promises. He was speaking while campaigning at Thembalethu in George in the Southern Cape. Godi says the APC will deliver on its promise of improved service delivery.